Although the children are, by no means, intentionally cruel, constant assurance from Mrs. Norris of their lofty station compared to Fanny made them careless with her feelings. All of her cousins exhibited selfishness, save for the younger brother, Edmund. Edmund becomes Fanny’s closest friend and defender. She grows to love him, but is too afraid to show him how she feels. It all seems too late for Fanny when the Crawford siblings enter the scene. The rakish and charming Henry Crawford becomes an instant hit with the Bertram sisters, while his own pretty sister, Mary, attracts the attentions of Edmund. Fanny could only watch their growing attractions with pain and dismay. When Maria, the older Bertram girl, marries the silly but incredibly wealthy, Mr. Rushworth, Henry turns his attention to Fanny. He seems to have fallen for our heroine completely. But a scandal awaits in the form of an elopement, an affair, and a terrible disgrace. The rest, is essentially, an incredibly tangled web, which is only set right in the final four pages of the novel. The Results of the Reread. There was a time when I said I would never reread Mansfield Park by Jane Austen. The first time I read the book, I found it dragging. It was a challenge to get through Fanny’s self-righteous soliloquies. I found Edmund stale and wooden—even more so than Edward Ferrars. The only relief was that there was life to be found in Mary Crawford. Although arguably despicable, I preferred her crassness, her thoughtless remarks over Fanny’s constant cringing and inability to express even a morsel of her sentiments without much prodding. Granted, one could take the novel’s setting into consideration, but the times have rarely stopped Austen from creating strong-willed and vocal characters. 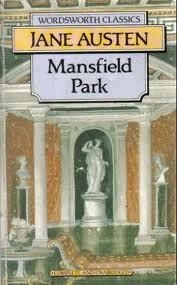 Compared to Austen’s other novels, I find Mansfield Park to be the stalest, the most dated. Perhaps the disappointment I feel is directly tied to how I just reread this novel after reading Pride and Prejudice—which is an easy favorite for many Austen fans. Perhaps I simply don’t like Fanny, because kind as she is, she is a bit weepy and I find her character weak. Or perhaps, it’s simply because out of all of Austen’s works, this is the one that has the poorest character development. That, and I was secretly rooting for a Henry Crawford reform—I wanted Fanny’s love to save him. I also didn’t want Fanny to be Edmund’s second choice—although this point is arguable, as a considerable amount of time may have passed between Edmund’s heartbreak and his realization that he loved Fanny more than as a sister. Fanny Price experienced very little character development, other than her strong stance against being coerced into marrying Henry Crawford. Edmund Bertram had no character development whatsoever. He started out as a self-righteous prig with no awareness of his flaws and ended the story in the same manner.